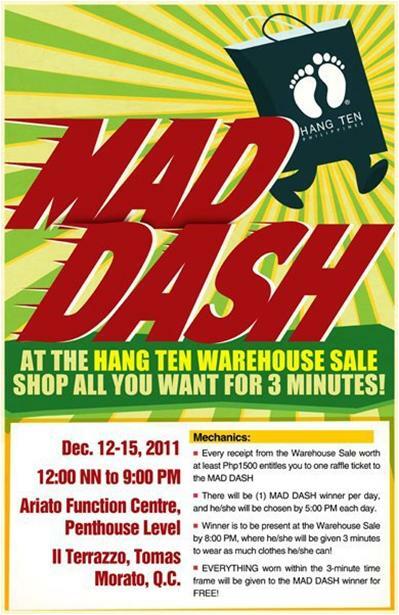 The Hang Ten Warehouse Sale is from December 12-15, 2011. Up to 70% OFF on selected items. 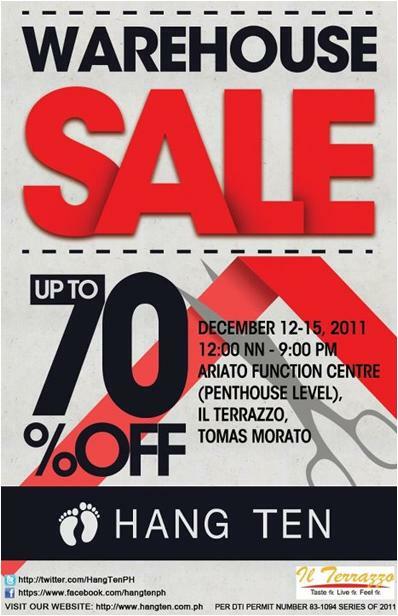 Warehouse Sale Hours: 12:00nn to 9:00pm. Winner is to be present at the Warehouse Sale by 8:00pm, where he/she will be given 3 minutes to wear as much clothes he/she can! Everything worn within the 3-minute time frame will be given to the MAD DASH winner for FREE!